This instrument is designed and made as per the national standard of People’s Republic of China GB/T 9168—1997（2004）Standard Test Method for Distillation of Petroleum Products at Reduced Pressure. 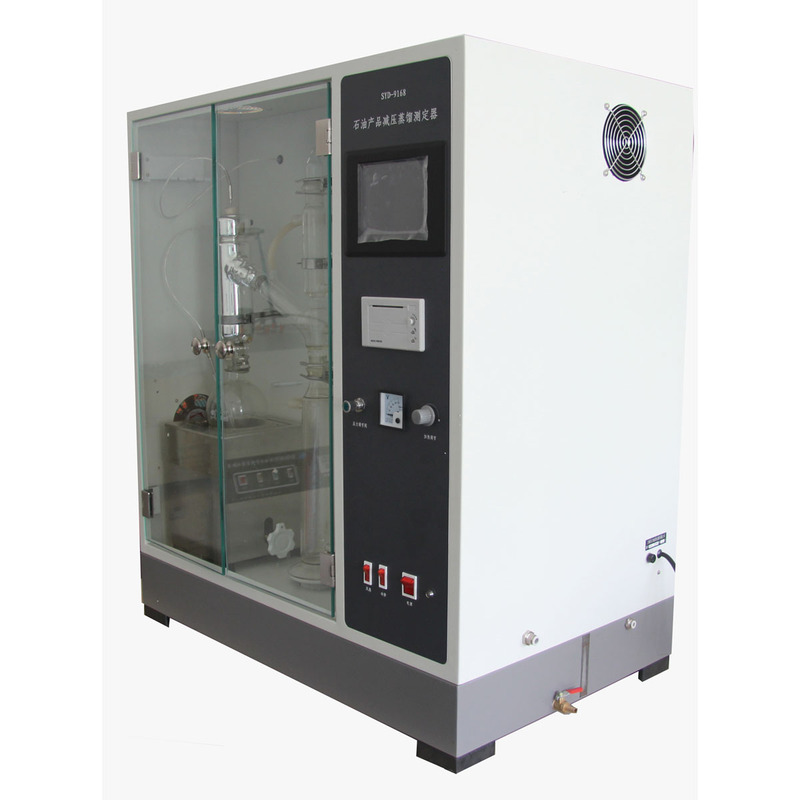 It is used to determine the range of boiling points for petroleum products that can be partially or completely vaporized at a maximum liquid temperature of 400℃. 1. It adopts colored LCD man-machine dialog interface to display the parameters and control keys. High-precision digital vacuum detecting system. It controls the vacuum pressure automatically and display it in real time. The vacuum pressure residue is (1.00～150.00)mmHg±0.01mmHg. 2. It adopts advanced semiconductor refrigeration technology. 3. It is equipped with a self-developed high standard atmospheric pressure- reduced pressure automatic conversion software. The conversion precision is highly improved. 4. A needle printer is equipped. It can print the test result automatically. 5. It equips a double tempered-glass door. The test procedures are clear. 6. Independent heating furnace. The height is adjustable. Forced air cooling. The test efficiency is highly improved. 7. Automatic data saving. It can save 30 groups of test data.